Matthew Robert Bonner (born April 5, 1980), also known as the Red Rocket, is an American retired professional basketball player. Bonner played college basketball for the University of Florida before being selected by the Chicago Bulls with the 45th overall pick in the 2003 NBA draft. During his career Bonner played for the Toronto Raptors and the San Antonio Spurs with whom he won two NBA championships. Born in Concord, New Hampshire, Bonner attended Concord High School, where he helped lead them to three state championships. Bonner was also the Valedictorian of his graduating class. Bonner accepted an athletic scholarship to attend the University of Florida, where he played for coach Billy Donovan's Florida Gators men's basketball team from 1999 to 2003. In his four seasons, he amassed 1,570 points, 778 rebounds and 165 three-point field goals. As a senior in 2003, he was a first-team All-Southeastern Conference (SEC) selection and an Associated Press honorable mention All-American. Bonner graduated with a bachelor's degree, with high honors, in business administration and a 3.96 grade point average (GPA). He won Academic All-American of the Year for the sport of basketball in both 2002 and 2003. Bonner was selected with the 45th overall pick in the 2003 NBA draft by the Chicago Bulls but was then traded to the Toronto Raptors. The Raptors did not have a roster spot available at the time and asked Bonner to play overseas and hone his skills with a verbal promise to make the team the following season. Bonner signed with Sicilia Messina of the Italian league in Messina, Sicily. Sicilia filed for bankruptcy in the middle of the season and stopped paying its players. Many players left the team but Bonner continued to play and finished the year averaging 19.2 points and 9.3 rebounds. In September 2004, Bonner signed a one-year deal with the Toronto Raptors. In 2004–05, he played in all 82 regular season games and averaged 7.2 points. He remains the only Raptors rookie to play all 82 games in a season. In August 2005, Bonner re-signed with the Raptors on a two-year deal. On June 21, 2006, Bonner was traded with Eric Williams and a second round draft pick to the San Antonio Spurs for Rasho Nesterović and cash considerations. In his first season with the Spurs, he averaged 4.9 points in just 11.7 minutes per game. The team went on to win the NBA championship that season. In July 2007, Bonner re-signed with the Spurs on a three-year deal. On December 11, 2007, in a loss to the Golden State Warriors, Bonner recorded career-highs of 25 points and 17 rebounds. In July 2010, Bonner again re-signed with the Spurs on a multi-year deal. He went on to lead the NBA in three-point field goal percentage for 2010–11 after he shot 45.7%. 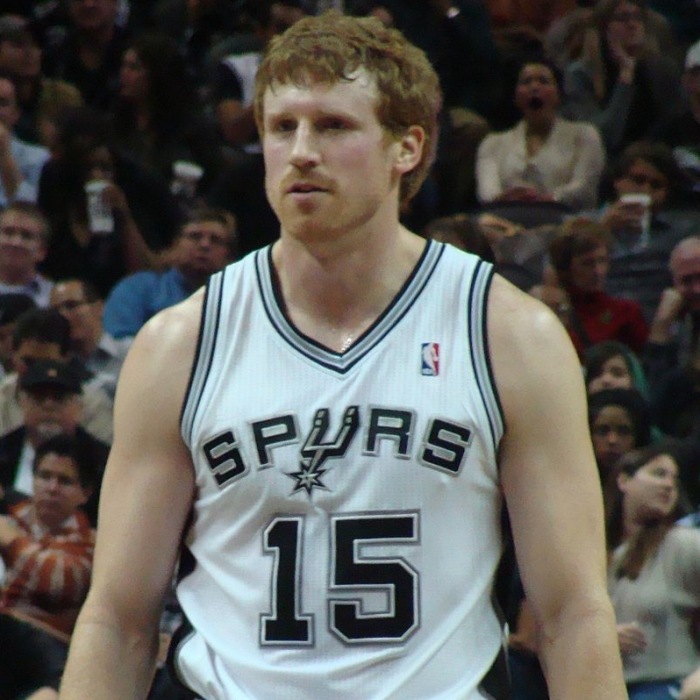 After a social media campaign from his brother Luke, Bonner participated in the 2013 NBA Three-Point Shootout during All-Star Weekend. He recorded a score of 19 in the first round to knock out Ryan Anderson (18) and Stephen Curry (17) and advanced to the final where he lost 20-23 to Kyrie Irving. Later that year, Bonner and the Spurs reached the NBA Finals where they lost to the Miami Heat in seven games. On July 15, 2015, Bonner again re-signed with the Spurs. He announced his retirement on January 6, 2017. On January 12, 2017, the Spurs jokingly "retired" Bonner's iconic flannel shirt in a locker room ceremony.